A resident assistant is responsible for creating a positive, inclusive living and learning environment in the residence halls. They interact with their residents and help students transition to college living by making the residence halls home. They are also the primary connection between the Residence Life and Housing Department and the students. What do resident assistants do? What are the minimum qualifications to be a resident assistant? RAs must be a full-time, returning student for the upcoming school year. RAs must have a minimum 2.0 grade point average (GPA). Serving as an RA is an entire academic year commitment. 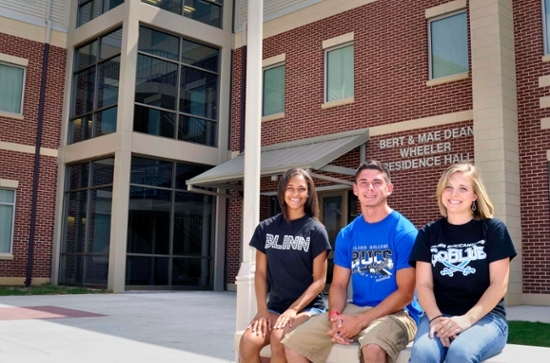 What is the Blinn Housing Office looking for in a resident assistant? We are looking for a student who will treat RA position as a job and as a way of life, a positive individual who genuinely cares about others and wants what is best for them, and a leader who knows when it is time to educate and when it is time to listen. How will I benefit from being a resident assistant? How do I apply to be a resident assistant? To apply, please fill out the form below. Sign in using your Blinn email address.